If like me the thought of home grown English strawberries is enough to make your mouth water then now is the time to start getting to work. You can't beat the flavour of homegrown strawberries - the greengrocers just can't touch it. Of course, to get the very best flavour you will need to pick your strawberry straight from the plant, and the best way to achieve this is to grow your own strawberry plants! If you're starting afresh then you should be able to find a good selection of plants in any good plant retailer from the beginning of March. 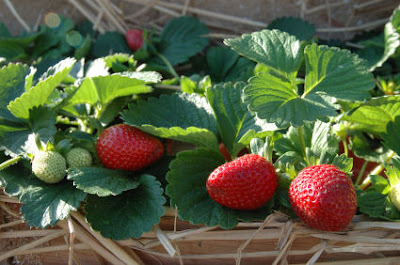 Alternatively you can grow strawberry plants from seed. 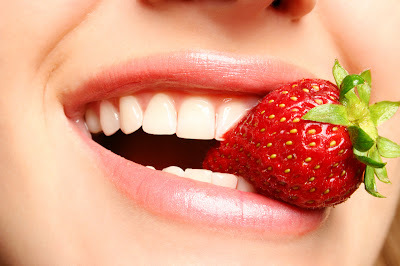 Although the strawberry is a heavily associated with the English high tea and Wimbledon, the strawberry is not a native of this fair and pleasant land. In fact, the strawberry was first bred in Brittany, France, in the 1750s via a cross of Fragaria virginiana from eastern North America and Fragaria chiloensis, which was brought from Chile by Amédée-François Frézier in 1714. 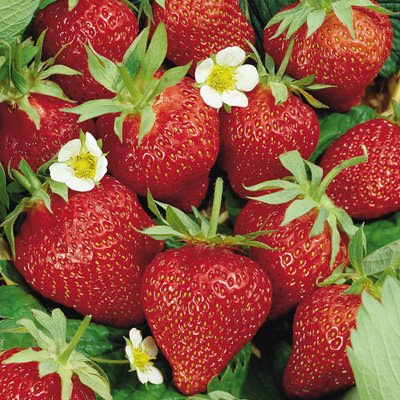 For that perfect summer flavour I can recommend ‘Cambridge Favorite’, a king amongst strawberries, but to ensure a good yield remove any runners before they start to creep along the ground as leaving them will only sap energy from your existing plants. However if you need new plants for next year, pinch off the flowers from a couple of selected parent plants as this will encourage shoots and runners instead of fruit. Remove them carefully from parent plants in early autumn and pot them on separately using John Innes No 1 or No 2. To grow strawberries successfully outside all you need is a little preparation. Strawberries do not produce deep roots and can be prone to damage from waterlogging so they appreciate the soil being both well drained and well-dug before planting. If you can, prepare the soil at least one month before planting and incorporate as much organic matter as possible. You can even give a little extra help hand by adding bone meal at a rate of two handfuls per square metre. Then - a few days before planting - you can apply a general fertiliser as Strawberries are greedy feeders over a relatively short period of time. Plant them 13-15 inches apart along the row with each row being about 30 inches apart. They will need regular watering until they establish - again don't allow them to become water-logged at which time watering can usually be left until they come into fruit. You will also need to keep control of weeds growing near strawberries as they will compete for nutrients and can drastically reduce cropping. As the fruit develops their weight will cause them to drop to the ground, but before this happens it’s important to cover the surrounding soil with straw or black plastic. This prevents the fruit from rotting on the soil. In fact it’s from the traditional use of straw that strawberries got their name. Where plastic is used, punch small holes in the plastic to help drainage and to stop water pooling under the fruit. If you have a problem with birds then the plants will need to be protected with lightweight plastic netting. Put this in place when the fruits begin to swell, making sure that netting is well clear of the plants. Depending on your situation you may wish to invest in a fruit cage.